Uruguay’s Diego Forlan has been announced as 2010’s FIFA Golden Ball Winner. adidas F50 adiZero wearer Forlan has been the fulcrum of the Uruguay attack, powering his team to the World Cup Semi-Finals with 5 goals. Forming a deadly partnership upfront with Luis Suarez, the ex-Manchester United man has proven himself to the world with a dazzling tournament, scoring goals from free-kicks, volleys and long range – putting to be sceptics who wrote him off after his tepid time in the English Premier League. Forlan polled 23.4 per cent of the vote to finish ahead of Holland schemer Wesley Sneijder and Spain striker David Villa. Other news came in the form of Tomas Muller being awarded the FIFA Young player of the tournament. The Germany youngster will be thrilled with his haul, adding this award to his 3rd Place medal and the 2010 World Cup Golden boot. Muller beat out competition from Sneijder, Villa and Forlan himself all on the 5 goal mark – but Muller‘s higher number of assists was enough for the Bayern Munich attacker to take home the award. Awesome. Cant agree more with the choices for golden boot and ball. is this the new award combining FIFA World player of the year and the Ballon D’or? or is this just the world cup? Since forlan wears the adizeros, his game has improved a lot. 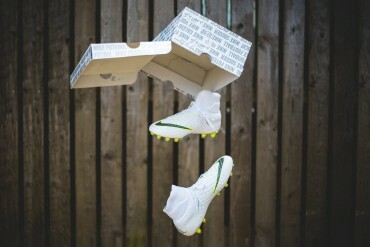 I think these boots are perfect for players like him.